GTU is making persistent efforts to harness creative potential of all our young students across institutes. We have multiple interventions to give them platforms where they can work and showcase their skills at college, regional and university level. Throughout the academic year GTU organizes many academic, nonacademic programs, conferences, workshops etc. and invite eminent experts from national and global platforms. 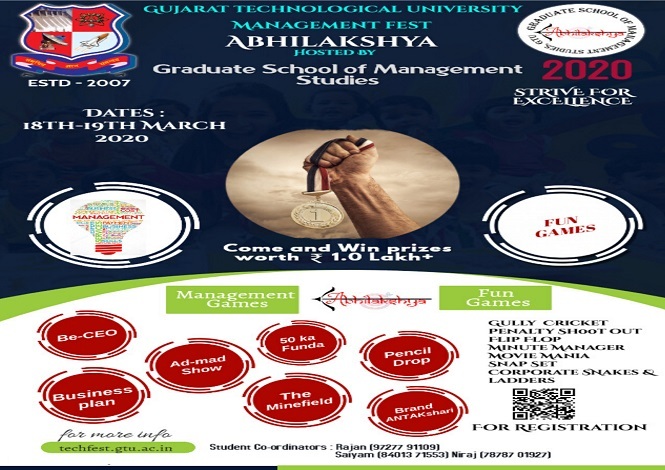 GTU is also organizing some annual events every year where students can participate and it becomes a culmination of student’s creativity in many dimensions. 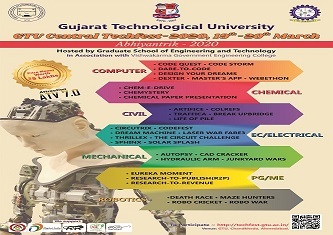 GTU Tech-fest is one such annual flagship program which university is organizing since years. From this year, GTU is trying to take the efforts through this tech-fest to new level. We are trying to ensure that students across the regions and sectors/branches can participate in this program. 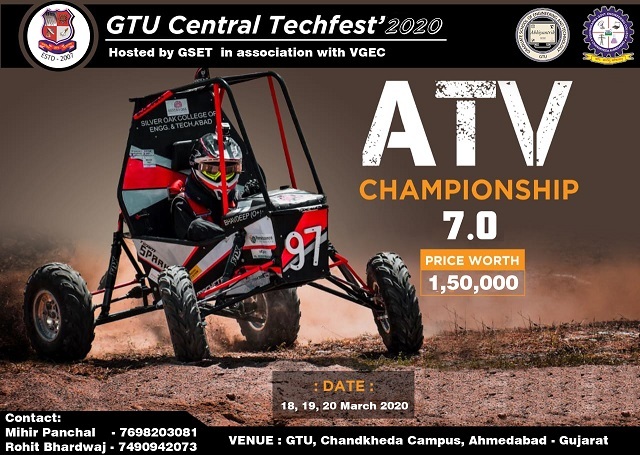 We also envisage that some of the Host institutes of GTU Tech-fest should also build capabilities in certain domain so that they can provide outstanding support to creative students in the area. We are organizing the fest this year in four zones of Gujarat and multiple Host Institutes are hosting the program in every zone. We wish to focus on every sector of activities and intensive efforts are being put together by both university team and Host Institutes (HI) to benefit the participants. 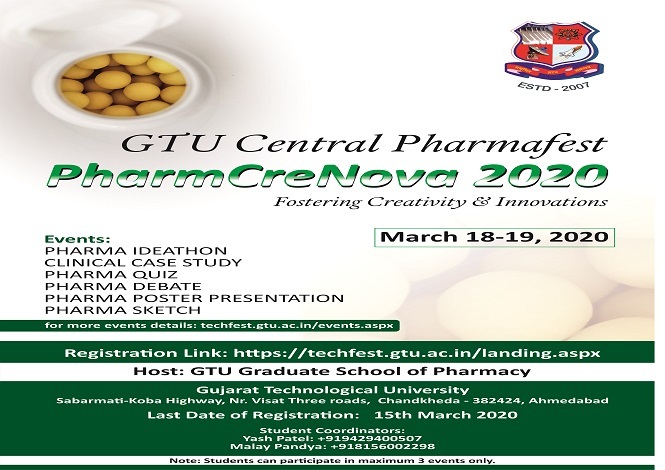 Central level GTU Tech-fest will be hosted at GTU Chandkheda Campus in the month of March and by that time all Zonal festivals will be accomplished with help from Host institutes. We will also link various university support programs for helping student’s creativity, innovation and allied things through specially designed programs during this so that tangible results are obtained. We have pooled suggestions from across institutes, students and others while designing the program of the festival so that it truly become a “for the student by the student” endeavor. We wish that every edition of this program should attain new heights through concrete impact while delivering a strong cultural change in the mind set of GTU stakeholders, particularly students. With over sixty events across sectors, disciplines and geography we at GTU wish to make sure that every single talent across our colleges get noticed and helping hand is extended to them at their place with effective manner. I congratulate all the stakeholders associated with GTU Tech-fest program and wish the very best for making it a benchmark in its league across the nation.